NESO India invites applications for Orange Tulip Scholarships for Indian students for the academic year 2019-2020. Just follow the below steps to apply for the OTS 2019-20. Step 1 : Go to the official website of NESO India provided above. Step 3 : Fill the application form carefully with the required fields. Make sure you receive a confirmation email that we have received your application. Confirmation email will usually be sent 1-2 weeks after delivery. Please call back ots [AT] nesoindia.org or contact our office directly. 1. If my university and / or study program is not on the sponsor list / scheme, can I register the Orange Tulip Scholarship? Not all Dutch Universities offer Orange Tulip Scholarship and apply only to university courses listed on the Scheme page . Any list of colleges offering OTS each year can change. 2. Does Nuffic Neso India help with the enrollment of my university course study program? No, we do not help the admission process to any Dutch university or higher education institution. We provide information and steps that you can easily follow to apply to one of your destination universities. 3. I already have Conditional Letter of Acceptance from Dutch university. Can I start Orange Tulip Scholarship registration? Yes, if your conditional Letter of Acceptance is from a course at a university of OTS participants. 4. How to show ” Proof has started registration ” to register Orange Tulip Scholarship? Enough with email screenshots from the university (OTS participants) stating that your registration documents have been well received and processed immediately. 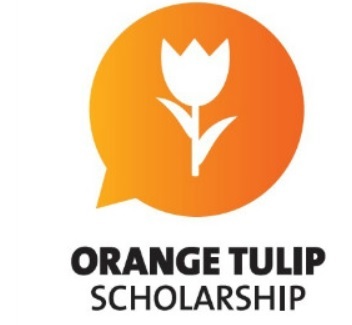 The deadline for registration and submission of the Orange Tulip Scholarship to Nuffic Neso India is April 1, 2019.